I’ve always wanted to see if I could put together fully independent short stories that, when brought together, make a novel. Turns out I can’t. But looking at the final result, this is one I’m happy with. I loved writing Paarfi again. And bringing Vlad and Khaavren together geeked my inner fanboy. Can I be a fanboy about my own stuff? Oh, right. That’s why I do it. It makes me happy to read you are a fanboy about your own stuff. A wonderful level of investment on your part. …and it means that my own inner fanboy gets to be sated as you are apparently motivated toward that which will do it. Hi there – love that I found this site! Side note: unless there’s another Twin Peaks, Round Rock (other than the location a shake or two north of Austin, I mean) I think that I read a good portion of this book sitting in the same building it was written. Absolutely made me day. Thanks! This is one of my favorite books. It’s good to see that you are a fan of your own stuff. I kinda wish more people were like that. Steve, did you mean to not add more to the conversation with Sethra that was started in the beginning? I was hoping that would go somewhere. “Captain,” said Khaavren, both by way of affirmation and correction, thus conveying the maximum amount of information in the fewest possible words; a custom of his, and one that this historian has, in fact, adopted for himself, holding efficiency of language to be a high virtue in all written works without exception. This has joined Athyra and Orca as one of my true favorites of the cycle. Jhegaala and Teckla are in the running for Honorable Mention. Am I mistaken to suspect Daro has Lyorn ancestry? Perhaps half-Lyorn, perhaps full. Could be adopted or the product of an illict relationship. Regardless, I think there’s trickery going on here, and not just in-story. Daro is a Tiassa who dresses like a Lyorn. If you want to learn more about Daro, check out Five Hundred Years After. 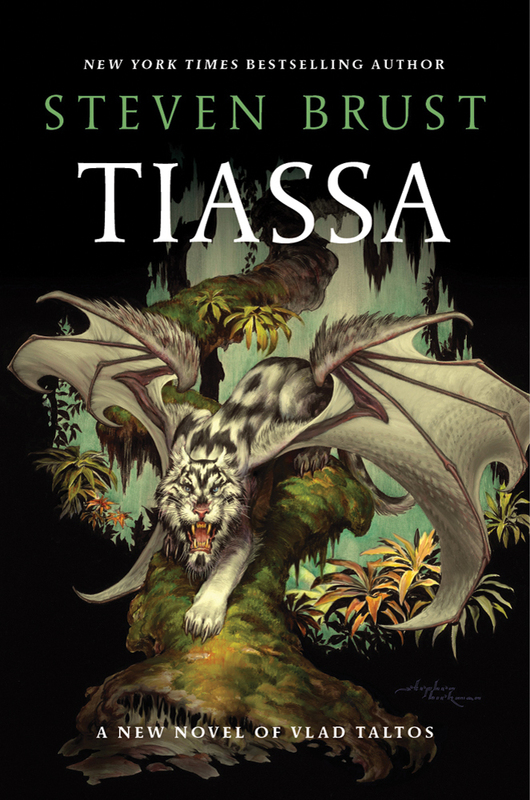 It will help to understand Tiassa a bit better if you do, imho.